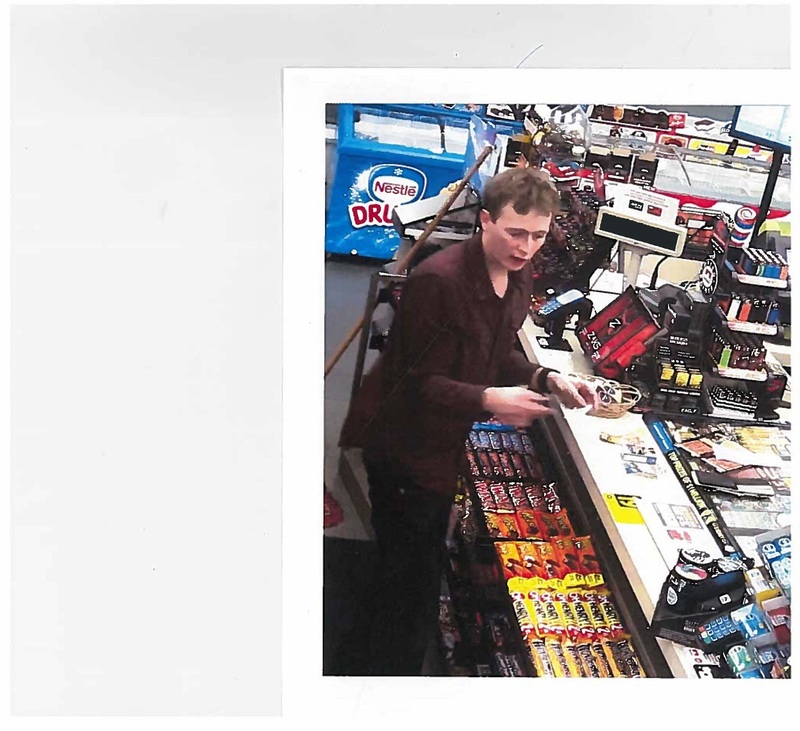 10-26-2017 - The Revelstoke RCMP are seeking the public's assistance in trying to help identify the two individuals depicted in the still photographs. 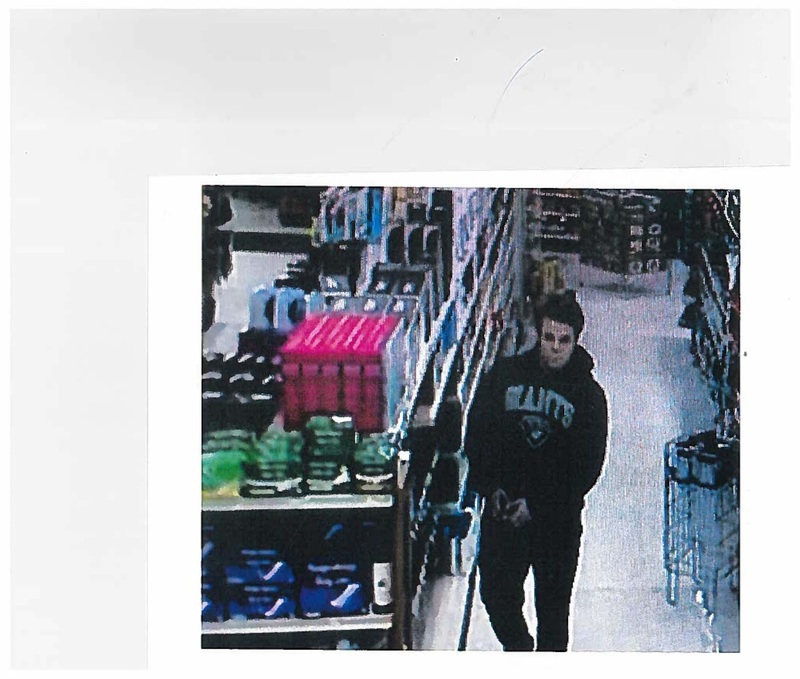 These persons are being investigated for a theft which had occurred on Thursday, October 26, 2017 at 8:30 AM, from the Peoples Drug Mart located at 12 - 555 Victoria Road in Revelstoke, BC. 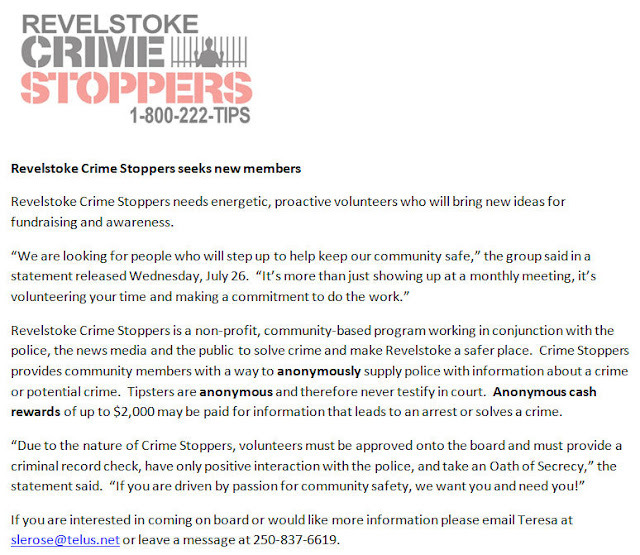 If you have any information with respect to who these individuals are or any information with respect to any other Criminal act, please contact the Revelstoke RCMP at 250-837-5255 or Crime Stoppers at 1-800-222-8477/1-800-222-TIPS or visit their website at www.revelstokecrimestoppers.ca. 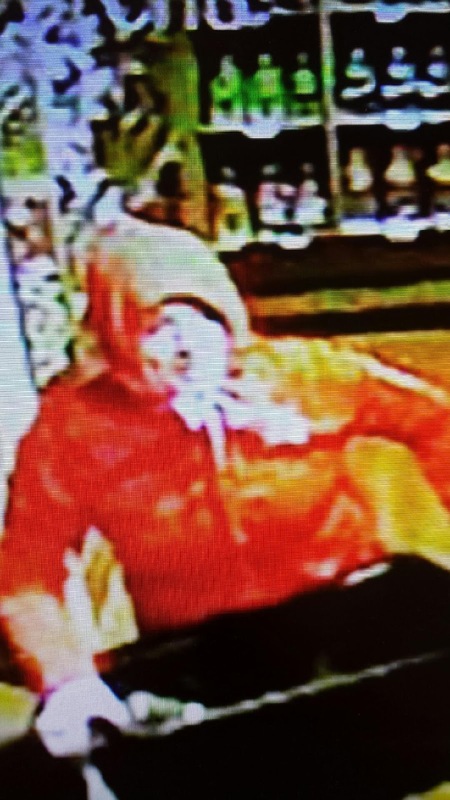 10-17-2017 - On Tuesday October 17, 2017 at 4:05 AM Unknown culprits(s) had broken into the Cheers Beer and Wine Store located at 109 Victoria Road East in Revelstoke, BC. Once inside, they removed liquor and lottery tickets from the shelf and fled in an older model white pickup truck. 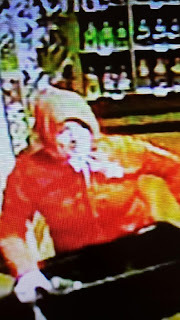 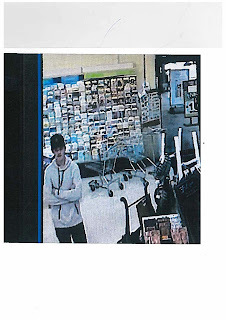 One of the culprits is described as an adult Caucasian female wearing a pink hoodie and black pants with black shoes while the other culprit is described as an adult Caucasian male wearing a black hoodie with blue jeans and black shoes. 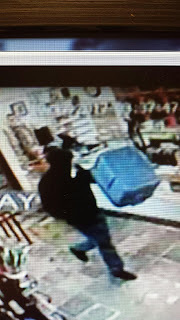 If you have any information with respect to this Break and Enter to Commit Theft and or any other Criminal act, please contact the Revelstoke RCMP at 250-837-5255 or Crime Stoppers at 1-800-222-8477/1-800-222-TIPS or visit their website at www.revelstokecrimestoppers.ca. Revelstoke Crime Stoppers gets New Highway Signs! 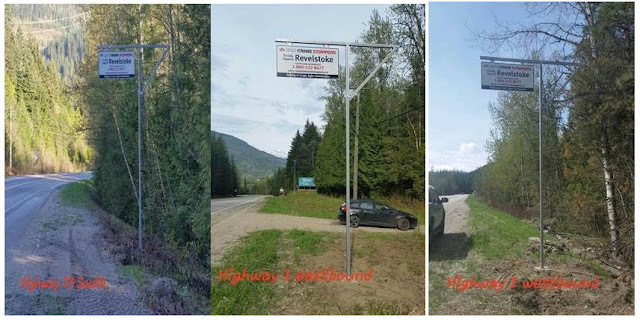 On behalf of the Revelstoke Crime Stoppers, we would like to send out a huge thank you to Emcon Services for the donation of man hours and supplies for the installation of our new highway signs. Huge thanks also go to Murray and Gary for all their hard work. 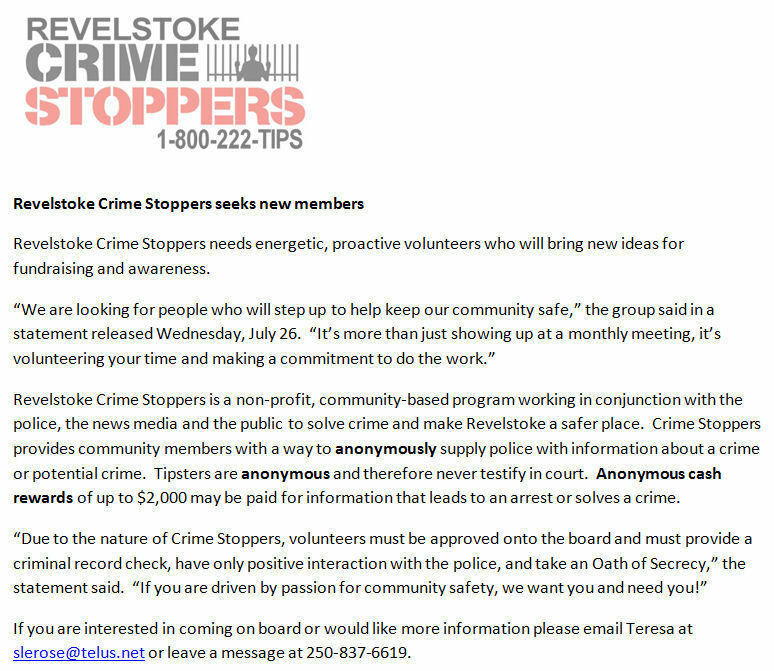 Thank you also to the Kamloops Crime Stoppers for the donation of the signs, and Funk Signs in Kamloops for making the signs. They turned out wonderful and will be there for many years.